Supercars and their fancy carbon fiber engine covers be damned, we have a clear winner here in the name of Abarth’s 300hp four cylinder rally car. ABARTH 1800 bialbero. 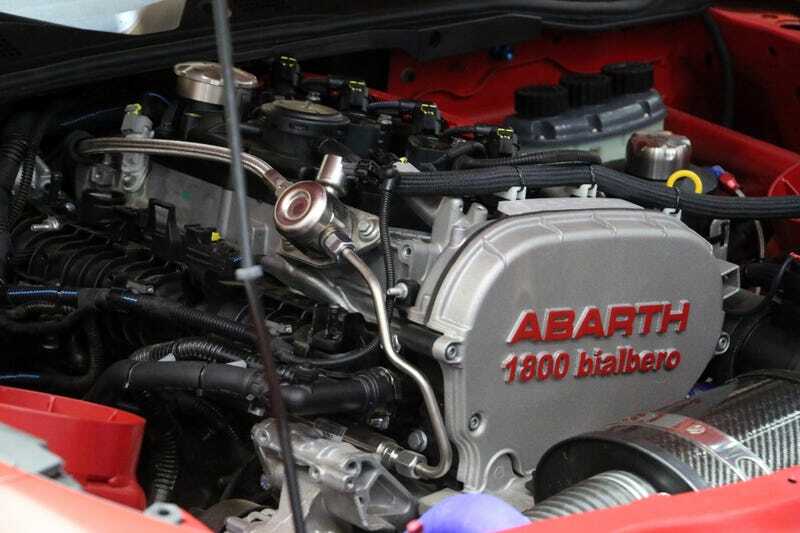 That’s all I want to see on a turbocharged 300hp DOHC, and Fiat delivers with its homologated Abarth 124 Rally. Moving on to the thing Fiat has to race now, the 124 Rally. I bet Mazda couldn’t see this coming.